It always fascinates me when my son thinks of some weird things with his father. This is one of those cold nights, when my husband just got home from work and relaxes for a while before dinner. When all of a sudden that our curious and rambunctious son just hopped over him crawled in is sweatshirt to hide. 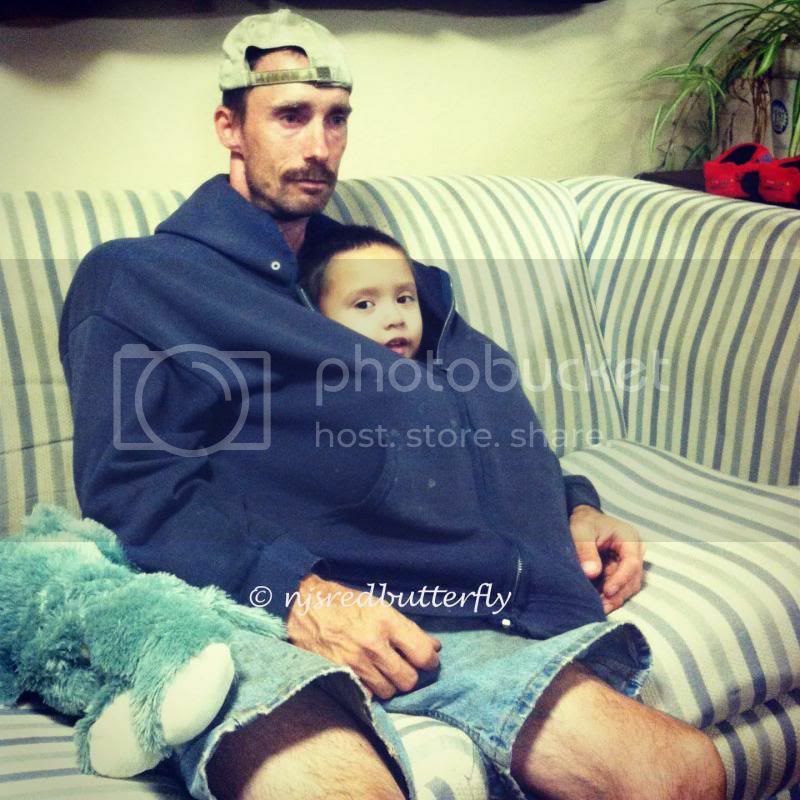 As my husband wears, large size with a skinny figure there is certain, more room for a small kid to get in. It was funny to watch them, since it seems like hubby is like a Kangaroo. The kangaroo has pocket where they put their babies inside, that is what exactly my father and son did in the picture. I just want to share this funny picture of my two adorable men in life.